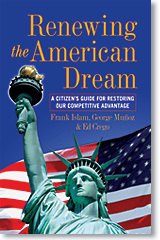 Watch George Munoz and Ed Crego on the Dylan Ratigan Show on MSNBC. This entry was posted in Audio & Video, News. Bookmark the permalink.